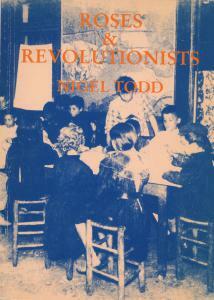 Roses and Revolutionists tells the little-known story of the ‘free communist and co-operative’ community of Clousden Hill on the banks of the Tyne which ran from 1894 to 1902. The community (governed by a ‘Joint Committee of all the adult male and female members’) attracted high-profile visitors in its time including Peter Kropotkin, Tom Mann and Jim ‘Red Flag’ Connell. Nigel Todd, as well as being an author, WEA tutor and a Labour councillor in Newcastle, is also a trustee of the Co-operative College.